Nov. 1, 2018 – Contractors on the B.C. Coast seem to have picked themselves up off the ground since CFI’s first Contractor Survey two years ago. In general, the situation has improved, but there is still work to be done, particularly around succession planning, if the industry is going to thrive. 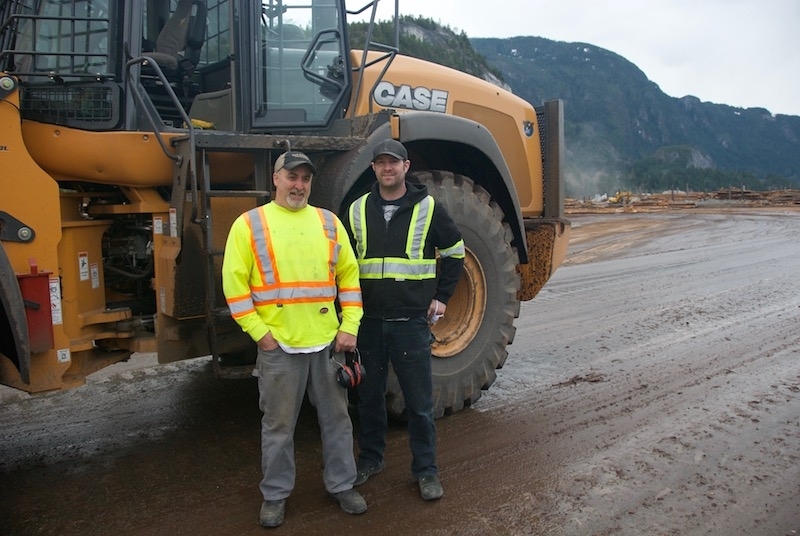 Two years ago contractors on the B.C. Coast stood out as the area of Canada where mill relations had soured, rates were stagnant and profitability was on the decline. Results from Canadian Forest Industries’ 2016 Contractor Survey showed a clear challenge ahead for the B.C. Coastal industry. Shortly after CFI’s 2016 survey research was published, the B.C. government launched a Logging Contractor Sustainability Review. The report, completed and published in the spring of this year, outlines 13 proposals that aim to improve mill and contractor relations through best practices. Our 2018 Contractor Survey was conducted in June, a month after the review was made public. The survey results show that while Coastal loggers continue to have concerns about the future of their industry, there have also been some positive trends to report in the region. It is possible the somewhat improved situation on the Coast is a response to the issues raised by the 2016 survey and the formal sustainability review. Across Canada, logging rates are a mixed bag. Compared to 2016, more contractors report stagnant rates over the past five years; however, fewer report a rate drop. There was a small bump in the percentage reporting a rate increase in 2018, and it’s not unlikely the source of the increase is the B.C. Coast. Unlike in 2016, Coastal contractors in 2018 fared better than the natural average. In total, 44 per cent of Canadian contractors have seen a rate increase; on the coast that number jumps to 58 per cent. This situation is remarkably better than in Atlantic Canada where nearly half have seen no rate increase, and just 28 per cent an increase of 5 per cent or less. When it comes to profit, half of contractors across Canada claim to have made a profit of three per cent or less last year. The B.C. Coast seems to be in the middle of the pack with 54 per cent of its loggers reporting a profit between 1 and 5 per cent, 16 per cent reporting 6 per cent or higher, and 23 per cent claiming no profit. This is a major improvement from two years ago when the B.C. Coast fared poorly, besting only Ontario’s profit margins. However, the picture is not complete without factoring in costs such as machinery purchase and maintenance, fuel, and labour. Over 80 per cent of B.C. Coastal contractors say machinery purchase and fuel costs have increased significantly over the past three years. It’s not surprising, then, that when asked how their profit margins compare to two years ago, 92 per cent of Coastal contractors say it is either similar or lower. The competition for labour rages on in Western Canada, the consequences of which are reflected in our survey results. Coastal loggers continue to pay the highest operator rates in Canada, followed by the B.C. Interior and Alberta. While the average logging operator in Canada earns $29 an hour, the average on the Coast is $37. Just 8 per cent of Coastal contractors are paying $30 an hour or less; in the B.C. Interior and Alberta where competition is similarly fierce, that number jumps to 41 and 43 per cent respectively. Any further east and you won’t find any contractors paying over $30 an hour. Similar to our 2016 results, B.C. Coast contractors are more likely to offer benefits than the national average, with 85 per cent claiming to offer some form of benefits. Only the B.C. Interior has a higher percentage at 96 per cent. Compared to their Western regional counterparts, B.C. Coastal loggers are on the smaller side, although they run large next to contractors in Quebec and Atlantic Canada. The estimated average annual volume for Coastal companies is 163,000 m3, less than half of the estimated average output of Alberta contractors at 398,000 m3. The B.C. Interior sits comfortably in the middle at 237,000 m3. These numbers are not surprising given the unique species and challenges of Coastal logging. With more hand falling required on the Coast, it also helps explain why Coastal loggers have higher than national average employee counts (33 compared to 27), and require less than half the machines used by Interior and Alberta contractors, where logging is entirely mechanized. These factors add up to average revenues higher than the national average, but lower than their Western Canada counterparts. Coastal contractors make an estimated average annual revenue of $5.3 million, whereas the Interior brings in $7 million and Alberta $6.9. The Canadian average is $4.5 million. B.C. is one of three regions where the average contractor age is over 50, joined by Atlantic Canada and Ontario. On the B.C. Coast, 44 per cent are 56 or older, while 52 per cent are between 36 and 55. Just 4 per cent are under 35, which is less than half that demographic reported in the 2016 survey. While the numbers are not surprising given the significant investment needed to take over a logging company, it is a problematic trend that fewer young people are working as contractors on the B.C. Coast than just two years ago. Something needs to give if these established contractors are to continue operating in B.C. Nearly half of B.C. contractors (46% on the Coast and 47% in the Interior) say they will be out of the industry in five years or less. Without a succession plan in place, these companies could be facing the same fate as W.D. Moore Logging, a 90-year-old Vancouver Island contractor that made news last year after calling it quits. Unfortunately, it appears more contractors than ever have no real plan for their business after they retire or quit the industry. All told, 40 per cent of Canadian contractors admit they have no plan for the business, up 15 per cent from the same response in 2016. The B.C. Coast is just below the national average for that response at 39 per cent. Another 15 per cent expect their children to take over; 23 per cent hope to sell to another contractor; and 15 per cent are resigned to auctioning their equipment and shutting down the business. While Coastal contractors are more likely to want their children involved in the company, a large percentage of them admit they are unlikely to take over — 23 per cent have their children working for them but have no plan for their takeover, and another 39 per cent say it is unlikely they will ever be involved. In spite of the progress made over the past two years to aid communication between the licensees and contractors, and the relative improvements to profitability compared to the rest of Canada, Coastal contractors are still among the most concerned about improved co-operation with government and forest companies. Ninety two per cent of them rate this as the greatest opportunity to improve operations and/or profitability, compared to the 68 per cent national average. It’s clear there is still more work to be done on the B.C. Coast to ensure a profitable, long-term future for the industry.